Jeff Priebe began his career at the age of 12, when he got a part-time job at a wood working company. 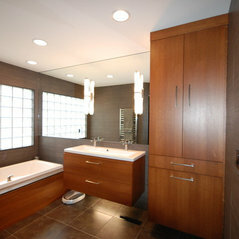 Sweeping floors and sanding furniture led to his career of designing, building and installing cabinetry. 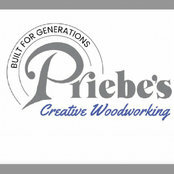 In 1995, Jeff opened Priebe's Creative Woodworking in Benton Harbor, Michigan. 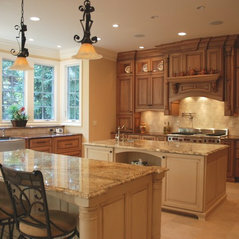 Priebe’s custom cabinetry brings to life an appreciation for the distinctive differences that can only be found in luxurious custom cabinetry. 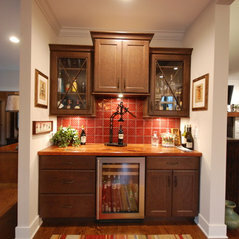 Like with fine furniture, your cabinetry is an investment that will become an heirloom for generations to enjoy. Priebe's has a staff that is dedicated to the ongoing success of our clients. 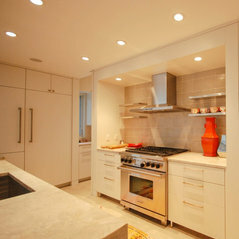 We can aid in the complete design of your kitchen, bathroom, furniture or other custom projects. 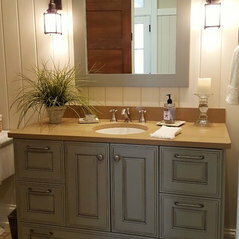 We use only high quality products to ensure a lasting effect to your woodworking that will make your guests stand up and take notice. Our legacy means craftsmanship with no compromises—from design—to hand selected lumber—premium hardware—and exquisite finishes—these are the details that set Priebe’s Creative Woodworking apart. Let our team help you through from the design process through installation for stunning results that will make you proud! I am very satisfied with Priebe’s workmanship. My kitchen is beautiful. 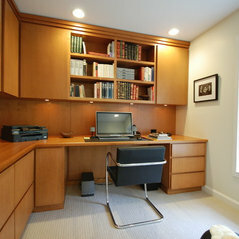 They are very professional and make sure everything is completed on a timely basis. I will tell people about this place. Priebe’s Woodworking custom built the exact cabinet we were looking. Their design and layout couldn’t have worked out better. 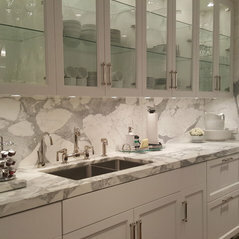 Our kitchen installation was beyond perfection. 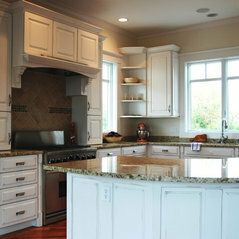 Preibe's did an amazing job on our home kitchen cabinets. Would recommend them to anyone without hesitating. 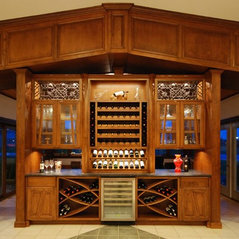 Their craftsmanship and attention to detail is second to none. 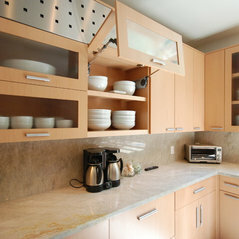 Commented: Hello, what brand/type paint do you use to spray your cabinetry?Hello. Thank you for noticing one of our projects. 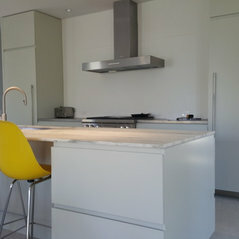 We use a post-conversion varnish commercial spray finish on most of our projects such as this one. Best regards. 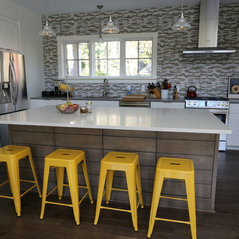 Commented: Counter Top color? Also what's the overlap?Hello. 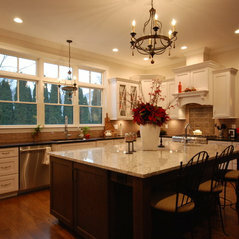 Thank you for contacting us regarding this kitchen. 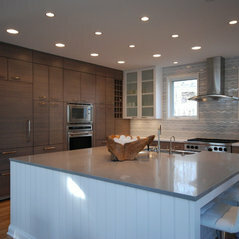 The countertops shown are 3cm Caesarstone Blizzard. 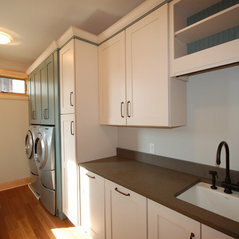 The overhang from the front of the door/drawers is about 5/8&quot;. 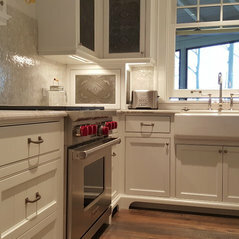 Commented: Love this kitchenThank you for your interest! 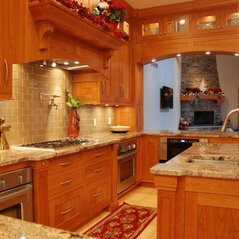 The wood used for this kitchen was Maple with a medium brown stain and glaze that was custom mixed for the client. Commented: FloorHello. Thank you for your interest. 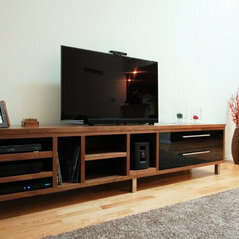 This project was a few years back--we will reach out to the homeowner to see if they have a reference for the flooring.